This race wasn't even close! A drag race between a BMW M2 and a Porsche 718 Boxster S is not all that fair. At first glance it may seem like a fair fight, but one look at the specs is all you need to see how lopsided this matchup really is. 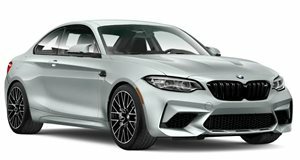 The M2 is a bit more powerful with its 3.0-liter turbocharged inline-six making 365 horsepower. However, the 718 Boxster S is not all that far behind in the power department. It has a mid-mounted 2.5-liter turbo-four making 350 horsepower. The BMW has the edge but not by much. Once you get to weight, though, the Porsche pulls ahead. 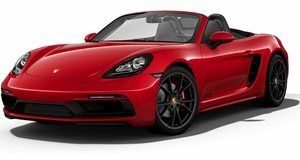 By now it should be clear that the 718 Boxster S has the upper hand. Still, you watch the video, if only to see how badly the M2 gets whooped. Yeah, the BMW has a ton of wheel spin off the line. With a different driver it might have been a slightly closer race. The best part of this video is that the Porsche ran the race with the top down. Drag be damned. Now the only question is whether or not the Porsche is worth $35,000 more than the BMW.